Bring a splash of color to any room's décor thanks in part to the Blue Dress Wall Décor. 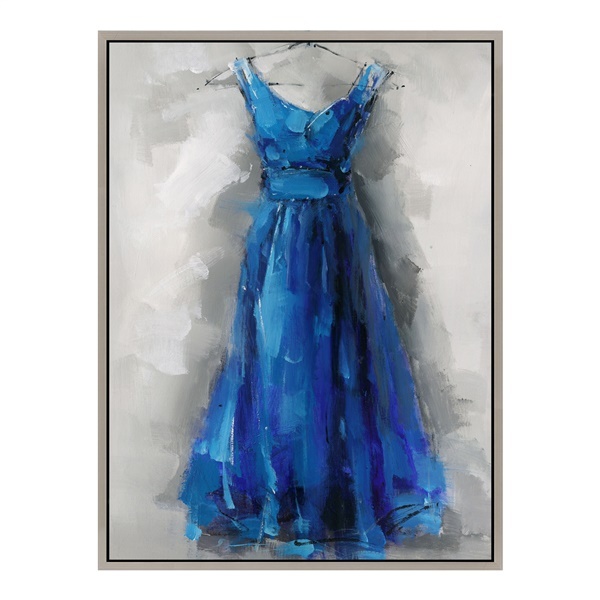 This wall décor highlights a stunning blue dress and is sure to make a distinct statement in any setting. It also consists of strong, durable acrylic on canvas and comes with hooks for easy setup. Pick up a captivating masterpiece that will maintain its appearance for years to come with the Blue Dress Wall Décor. Acrylic on canvas painting delivers long-lasting quality. Includes hooks for simple setup. Easy to hang in any room of your home. Blue dress illustration makes a bold statement in any setting.